Councilman Curran as Guest Bartender to Benefit the Northeast Parks District: Fundraiser at the Parkside April 29 at 5:00 p.m.
Parkside with be hosting the Northeast Parks District Happy Hour FUNdraiser today from 5:00 -8:00 p.m. There will be live music, a special menu, guest bartender Councilman Curran and more! Don't worry, it's still Thursday Burger Night and a portion of all sales will go to the Northeast Parks District. Hope to see you here! 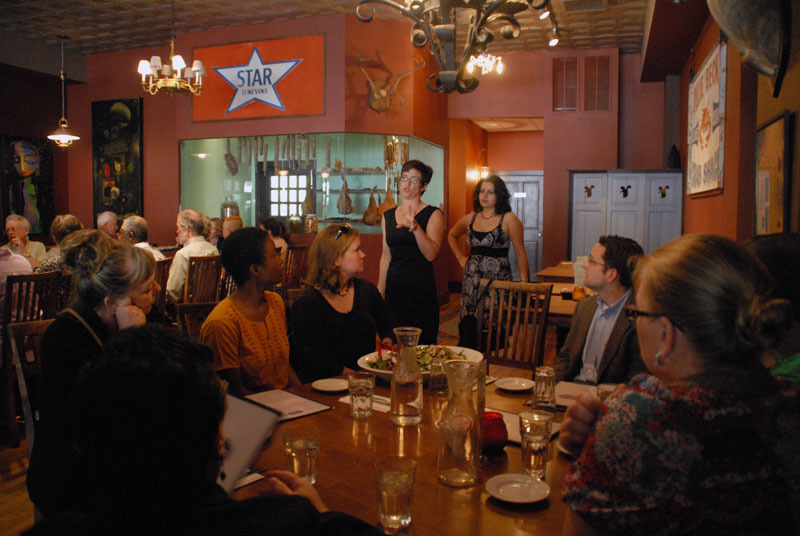 Red Canoe Bookstore Cafe in Lauraville: One of Baltimore's "most sustainable restaurants"
Three HLMS restaurants were named most sustainable in Baltimore by the Baltimore Green Works- read the article here. 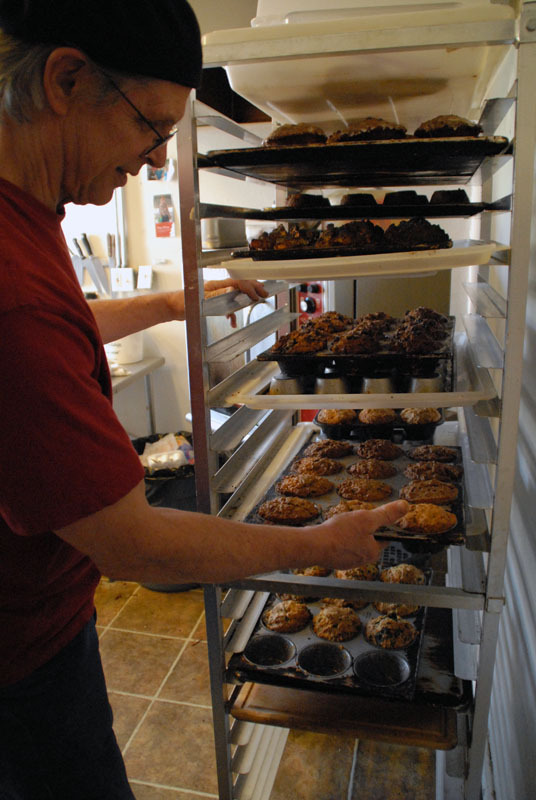 # 4 on the list - Red Canoe Bookstore Cafe- Peter's magnificent muffins keep customers coming back for more. 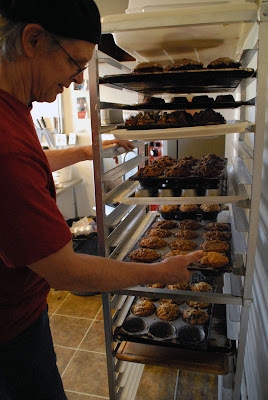 The recipes might be a secret, but the word is out about the muffins! Clementine in Hamilton: one of Baltimore's "most sustainable restaurants"
#3 on the list - Clementine - The sustainability tour continues to Clementine, in Hamilton, which uses local sources of food such as fresh honey from a Hamilton bee keeper and produce from the Hamilton Crop Circle. Chameleon Cafe in Lauraville: one of Baltimore's "most sustainable restaurants"
#2 on the list is the Chameleon Cafe in Lauraville - Owner and Chef Jeff Smith (not pictured here) uses the fresh produce from the Hamilton Crop Circle. 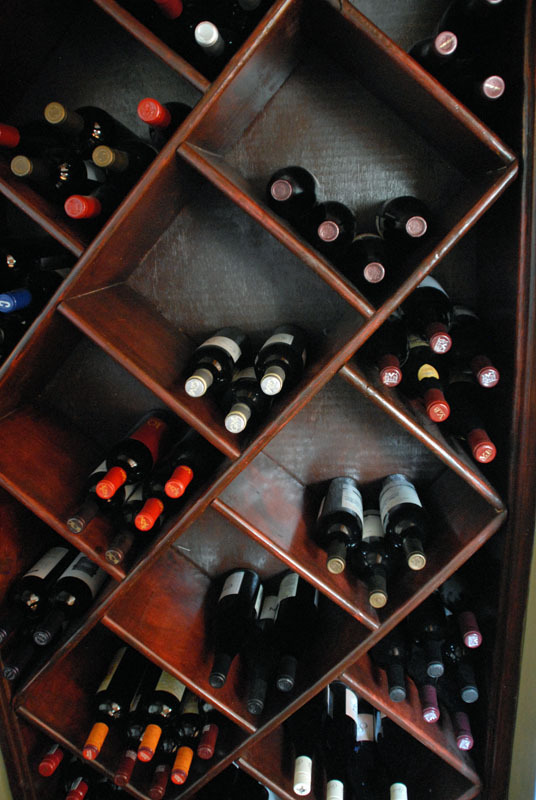 Great wine selection, Fantastic Food, Friendly Atmostphere. Will's Hairstyling at 5121 Harford Road and Soft Touch Photography by Cynthia at 5123 Harford Road held a fund raiser on Easter which benefits research on Autism and its causes. The event raised $625. 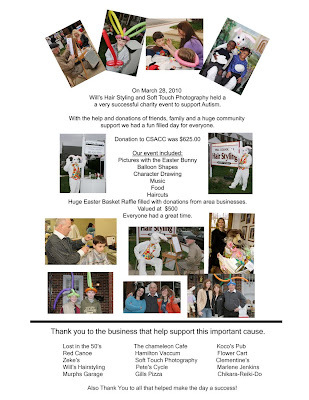 The Bobwhites will be playing tonight, April 23rd, at the Parkside starting at 9:00 p.m.
A Busy Day in the Neighborhood! Chris displays some of the great organic beers available in celebration of Earth Day at the Parkside Fine Food & Spirits. Can you even believe it?!? Only two more weeks until Mother’s Day. If you have a mother, know a mother or are a mother, Studio C Jewelry & Gifts has the perfect Mother’s Day gift for you! From gorgeous jewelry, clothing and accessories plus eco-friendly gifts, Studio C has the perfect item for that lovely lady in your life. Just in: picture frames, crystal perfume bottles, pretty soaps and more = Fabulous! Stop in between now and Sunday, May 9th to receive 20% off any one Studio C Jewelry item. Now, how can you go wrong?! Also, don’t forget, if it’s your birthday month, you get 20% off any one Studio C Jewelry item. Want to host a wine and cheese jewelry party at the shop? 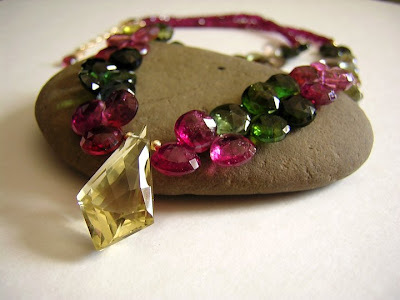 Great opportunity for discounted and free jewelry! Stop in for details. 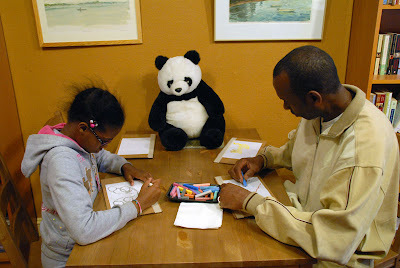 Several tables were set up with a still life inspiration & pastels for eager artists to try their best. Susan Brightman, artist & teacher at City Neighbors, instructs a young artist using pastels to draw a fish. 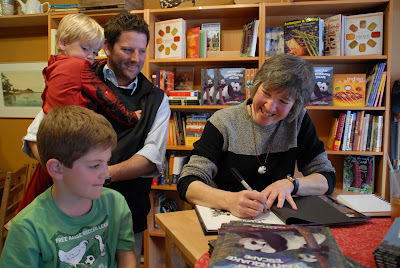 Susan Detwiler, illustrator, signs a copy of Panda Earthquake Escape as Clayton, John & Clayton III look on. A young artist works as Susan Detwiler signs copies of her book Panda's Earthquake Escape. Thursday 5:00 p.m. 4/22 night join us for the first in a series of events to bring books, art and community together. 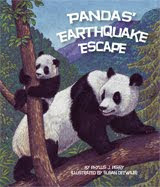 Meet illustrator Susan Detwiler, Panda's Earthquake Escape, and spend an evening sketching with area art teacher Susan Brightman. 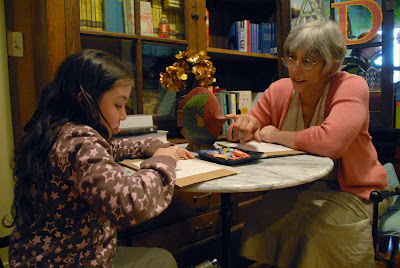 All completed sketches will be sent to the Wings of Hope orphanage in Haiti. The children there have been making drawings for us, too, although they haven't arrived quite yet. 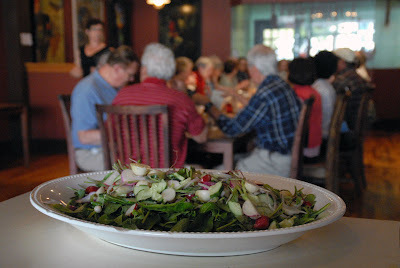 As always, here at Red Canoe Bookstore Cafe you will eat well, drink the best local small batch roastery coffee, find all your neighbors, and have a good moment of peace in the garden. 5 - 6 pm: FREE Earth Yoga with Velvet of Welcome Om Yoga, located onthe second floor of 4709 Harford Rd. (above Parkside Fine Food and Spirits)! 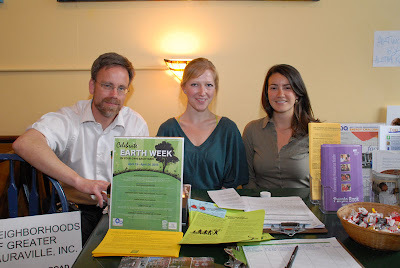 5 - 7 pm: Earth Day Happy Hour at the Parkside with NOGLI and BNEC. We'll be raffling off FREE trees and NOGLI t-shirts. 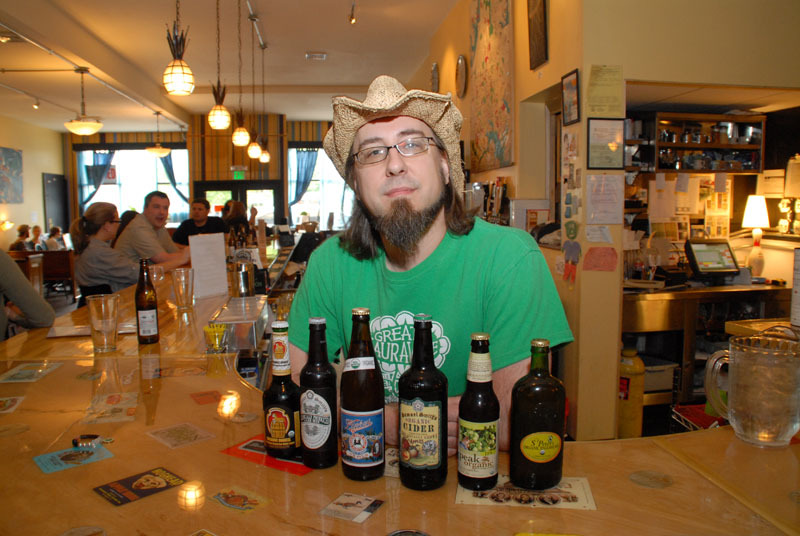 Parkside has brought in an awesome assortment of organic/local/biodynamic beer and wine which will be sold at half-price, as well as all organic ingredients for some one of a kind Earth Day appetizers (for under$8)! --Homemade ravioli with spinach and wild mushrooms in a white winesauce. Peak Organic Amber Ale will be on tap, too! So come over to 4709 Harford Raod and wind down with Welcome Om Yoga, the Parkside,the Baltimore Neighborhood Energy Challenge, and NOGLI! On Saturday, April 24 at 9:00am - 11am, the members of the parish "Clean Team" will go into a parish neighborhood to pick up trash. The "Clean Team" will be wearing specially designed T-shirts & vests with the St. Dominic Parish logo attached. In case of bad weather, the rain date will be May 1st. Want to join in? 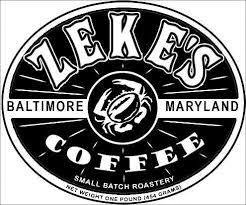 Call Deacon Jim Mann at 410-254-9172. 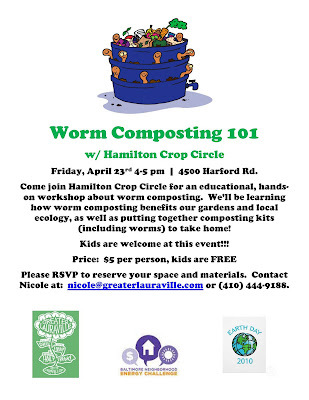 NOGLI and Hamilton Crop Circle are planning on hosting a Worm Composting 101 class at 4500 Harford Road this Friday, April 23rd, from 4 to 5pm. 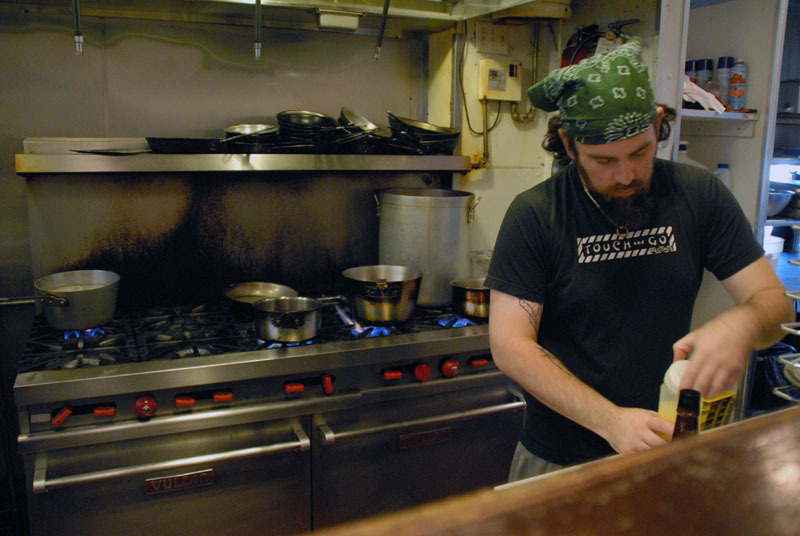 Harford Road's Chameleon, Clementine, and the Red Canoe are three restaurants out of five listed. Full article is here. Did you know the Hamilton Crop Circle picks up garbage from The Chameleon, Clementine, Hamilton Tavern & Zeke's Coffee to prepare compost for their vegetable gardens, which supply the restaurants with produce? An article by Richard Gorelick about Hamilton's Clementine is in this week's Baltimore Sun. You can read the article here. 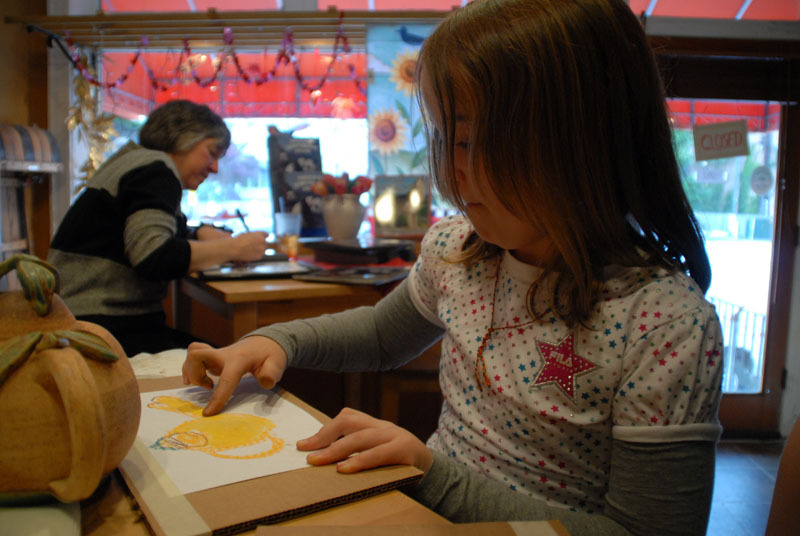 Special event: Look for the community art project at the Bazaar. 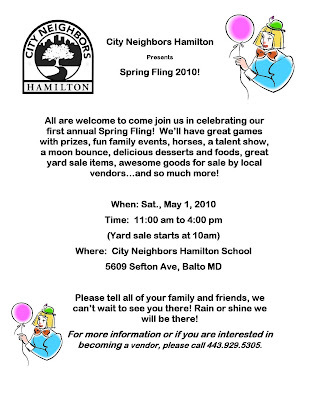 All are welcome to the Spring Fling 2010 at City Neighbors Hamilton School. Games, including pony rides, will be held at the event. 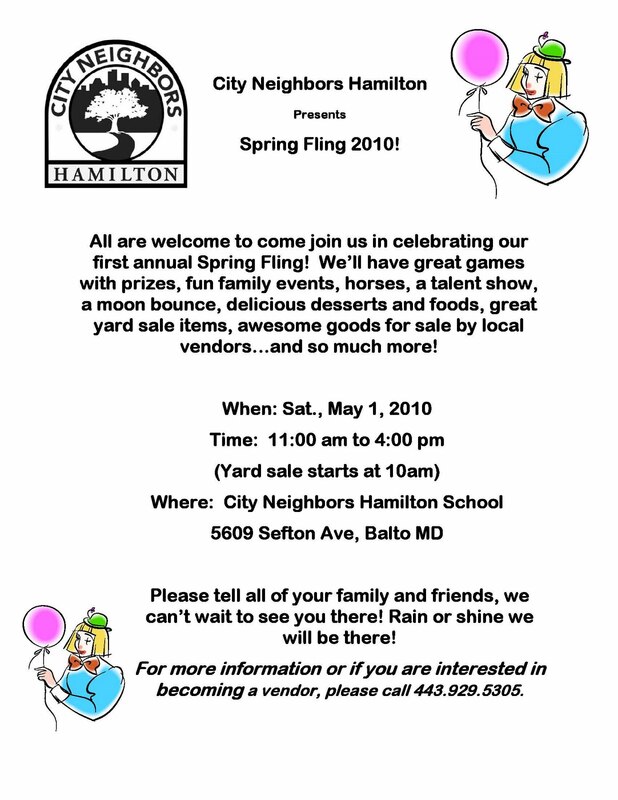 For more information, please call 443-329-5305. Hi everyone -La La La Laaaaaaaa! It's time to tune up your bicycle. On Monday April 19 from 4:00 p.m. to 8:00 p.m. Beth's DIY Workshop is hosting a Do-It-Yourself (with some help from some local bicycle enthusiasts) Bicycle tune up. This is your chance to get your bike in shape so you can get in shape and reduce your carbon footprint. It doesn't get any better than that! Bring you Bike around to the back yard at 4321 Harford Road, April 19, from 4 to 8. Spa Day at the Chop Shop - A great Mother's Day gift! Happy Spring from the Chop Shop! Please call 410-426-2300 to schedule appointments. Hola! 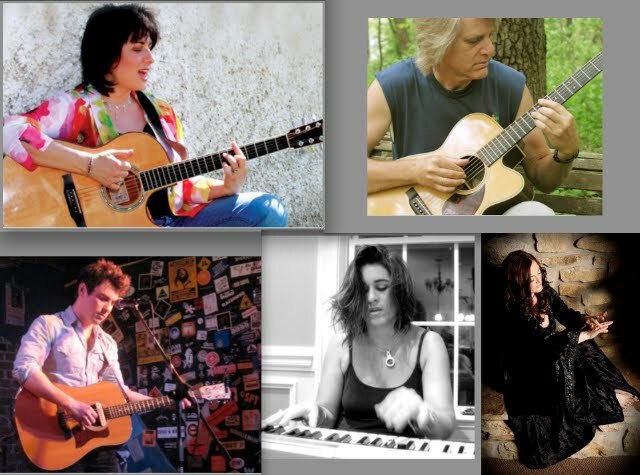 The 4th edition of the Lauraville Acoustic Showcase is coming up on Sunday April 18, and it promises to be a VERY special evening of truly excellent music! For starters, our feature performer is the exquisite Laura Baron from down DC way. From blues to bossa, to ballads and beyond, Laura’s award-winning songs – and her performing of them – will leave you breathless and calling for more! 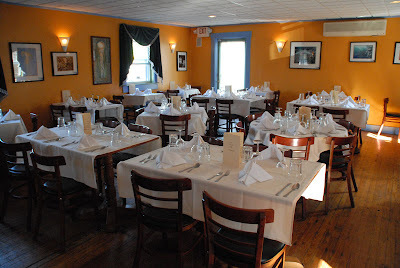 The Chameleon is a warm, friendly room with great sound, and there’s lots of free parking. The gourmet kitchen will not be open, but drinks and snacks will be available. Door open at 6:30, music starts at 7 p.m. sharp. Cover charge is $5. P.S. 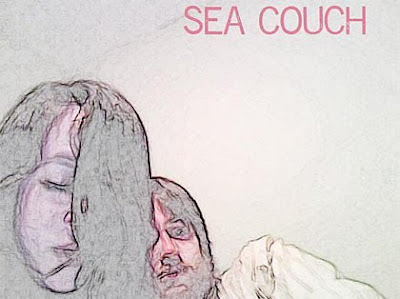 Please forward this on to music lovers you know – thanks! April 18 @ 7 p.m. Pasta Dinner @ Clementine to raise money for the outdoor a new play space at Faith Community Play School in Hamilton. All proceeds will go towards getting a new playground. 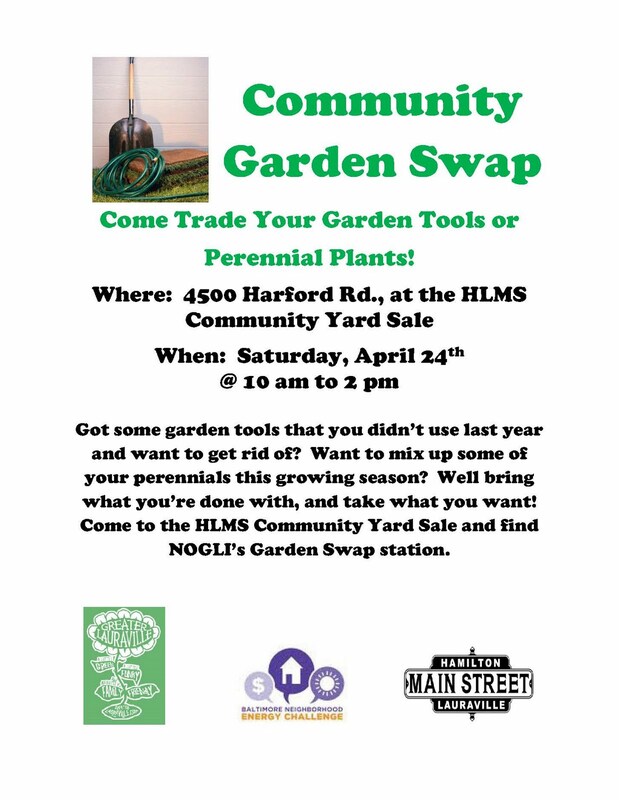 Hamilton Lauraville Main Street's first yard sale located at the 4500 Harford Road (home of Tuesday Market) was a hit the first Saturday in April! Everyone did so well (over $100 in sales) that we decided to extend the sale through May. There will be a yard sale at 4500 Harford Road each Saturday through April and on May 1, May 15, May 22 from 9:00 a.m. - 3:00 p.m. Don't miss the opportunity to recycle your goods to others. 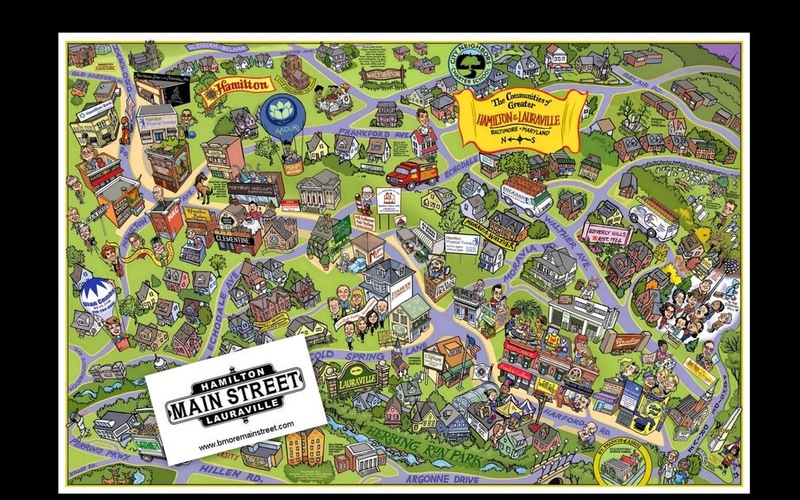 You can visit our website http://www.bmoremainstreet.com/ for an application. 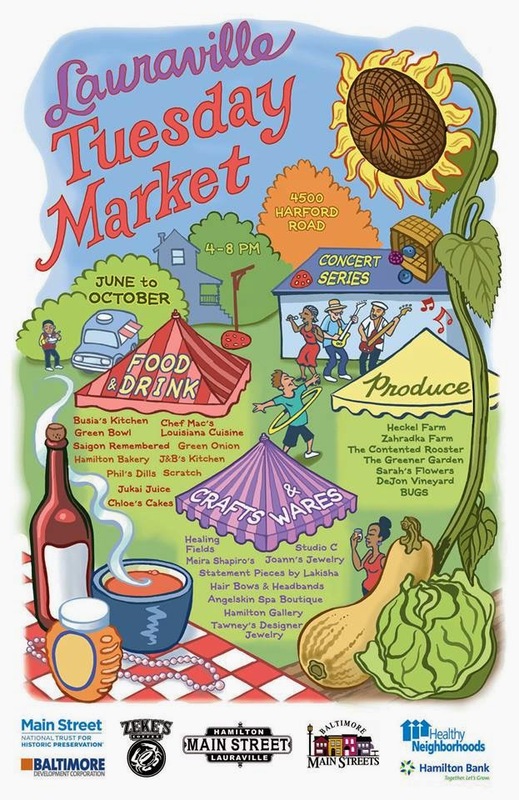 Or, if you wish to set up at the next sale, see a volunteer at the Main Street table to get your application. Someone will be there between 7 - 7:30 a.m. You will need a table and chair. 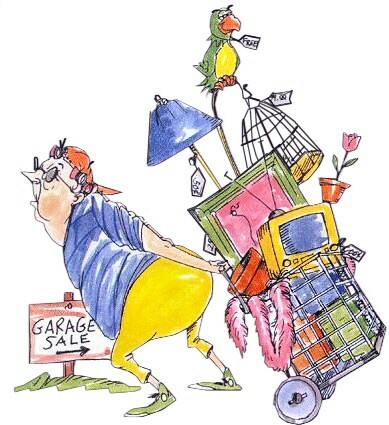 Come and enjoy the day, make some money and retun to a clutter free home. This is an INVITATION TO THE "WRAP ME UP" party! COME SEE THE NEW "WRAP ME UP" DRESSES. REGULAR PRICE $215 AND UP. INTRODUCTORY PRICE THAT DAY ONLY $155. ALL STYLES AND SIZES - XS-XXL. ARRIVE BEFORE 6PM AND ENTER TO WIN AN ORIGINAL IDIEH COLLECTION GARMENT. KAPACITY BOUTIQUE WILL BE FEATURING "BODY WRAPS" DESIGNED TO HELP LOSE INCHES IN 45 Minutes. HAND WRAPS BYMS. PRITY SPA LUXURIES. Visit www.idiehcollection.com to see some of the styles!!! Join us for a Spaghetti Dinner and Auction to benefit Boy Scouts Troop 161, held on Sunday, April 18th at the Church of the Messiah on the corner of Harford Road and White Ave.
Seatings are from 1-3p and 4-6p. Tickets are $8 for ages 12 and up; $4 for ages 6-11; kids 5 and under are free. 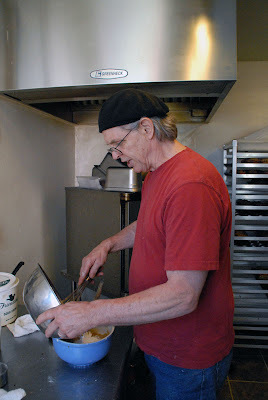 Ticket includes spaghetti with homemade meat or marinara sauce, garlic bread, salad, beverage and dessert. Auction items from local merchants, including Koco's Pub, Zorba's Pizza, the Chameleon Cafe, Studio C Jewelry and Gifts, and the Red Canoe. 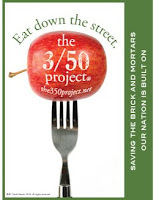 All proceeds benefit the troops' camping and supply fund (to offset the cost of summer camp). Please contact Bernadette for tickets--jackandbern@verizon.net. Stephanie & Rich Marsiglia, owners of Hamilton Vacuum and Janitorial Supply, have been operating their retail business in Hamilton for 18 years. 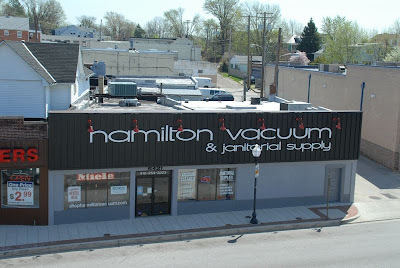 Hamilton Vacuum has moved three times to accommodate their growing business, and is now located at 5421 Harford Road. 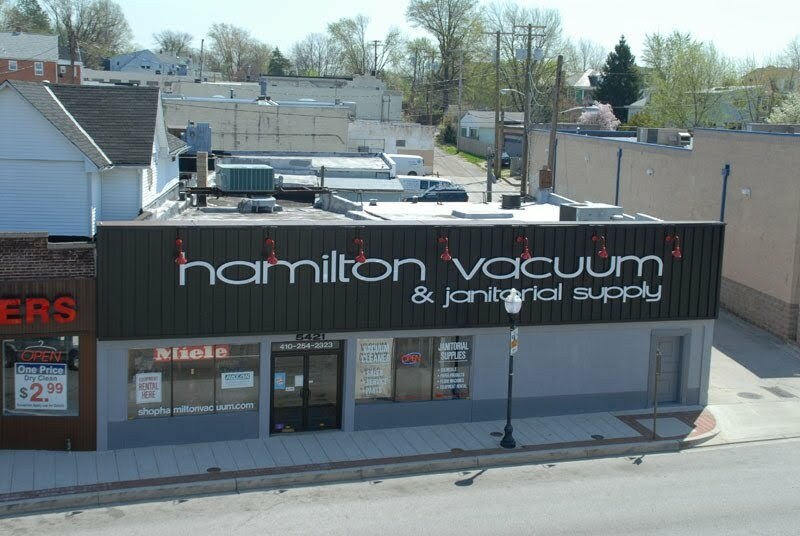 Selling & servicing products that every household needs, Hamilton Vacuum continues to be a model retail business on Harford Road. Rich & Stephanie have outfitted the old facade of the building to reflect their vision for great design. A real eye-catcher! Great job! 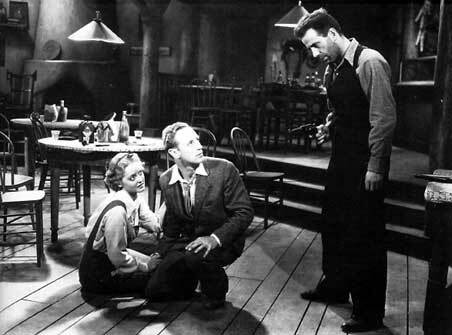 Early Gangster Noir with Bette Davie & Leslie Howard, break out film for Humphrey Bogart. This film is part of a series to benefit The Donovan Fund,which assists medically fragile Baltimore City seniors with fixed incomes.The Fund helps seniors pay BGE bills and purchase supplies much-needed items such as mattresses, air conditioners, hearing aids, and medical equipment. Sorry to disappoint those who were looking forward to "Christmas in July," but the holiday season is declared officially over. The decorations are down at Hamilton Avenue and Harford Road.